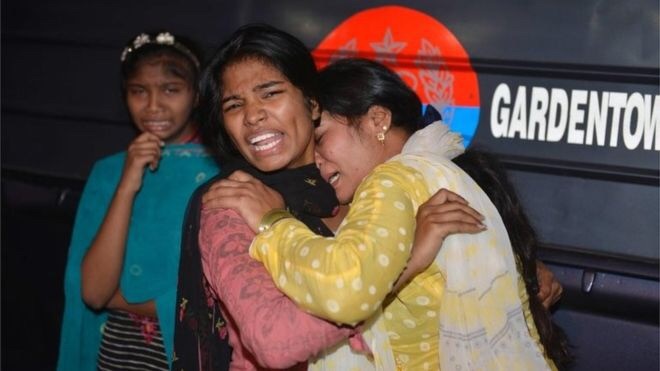 A factory collapse in Lahore, Pakistan, has left 17 people dead with dozens of people thought to be trapped beneath the rubble. A part of the factory, which was just under construction collapsed yesterday with about 200 laborers thought to be working on the site at the time of building collapse. Rescue operations have commenced with the Army pitching in to help rescue efforts. About 98 people are said to have been pulled out of the building and taken to the hospital but it is unclear how many people are still trapped.